Looks like our 74-story tower at 98 14th Street is about to get lift-off, or least make its way towards a sales center and pre-sales. The building will rise within the 4.5-acre, mixed-use development named Opus Place with master planning & cultural pavilion (read amenities) by famed starchitect Richard Meier & Partners Architects and will be called No2 Opus Place. Right now, we are hearing there will be 382 condos, 180 corporate suites, over 60,000 square feet of ground-level retail and over 8oo parking spaces. The building will be approximately 1,246,587 sq. feet. 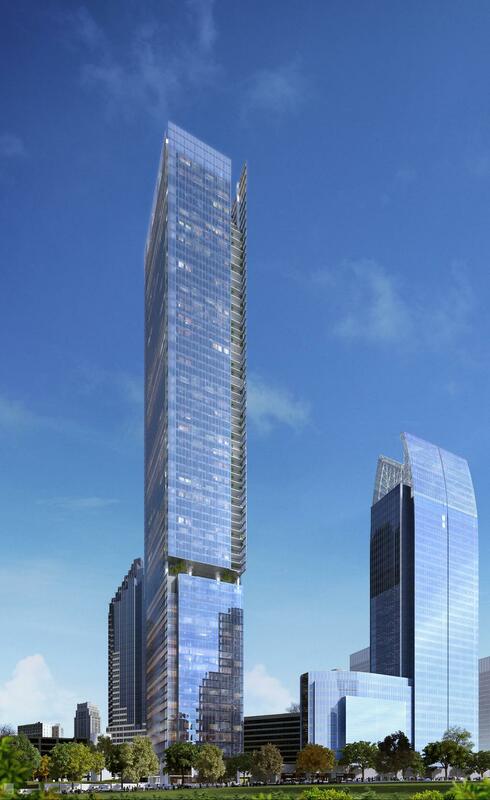 What will No2 Opus Place Midtown Atlanta pricing be like? Pretty much any new construction condos going up are starting in the millions and I would expect this project would be no different. I am hoping though there will a good amount of units priced under a million since they have 382 to sell. I’d love to see a good mix of one-, two- and three-bedroom condos in the building. Permits have been filed to build an over 4,000 square foot sales center on the site at an estimated cost of $350,000. The Atlanta office of Perkins + Will is the architect and the No2 Opus Place tower could soar to 920 feet, making it one of the tallest residential towers on this side of the country. Located adjacent to the Arts District of Midtown Atlanta, 98 Fourteenth Street is the initial phase of a master planned development which will be an integral component of the Midtown Art Walk, a unique pedestrian experience containing creative landscape, lighting, and interactive artistic elements along a half mile promenade between key transit stations in the district. The initial tower of up to 74–stories is comprised of up to 382 luxury residential units and up to 180 corporate suites in a single structure inclusive of ground level retail and enclosed structured parking. 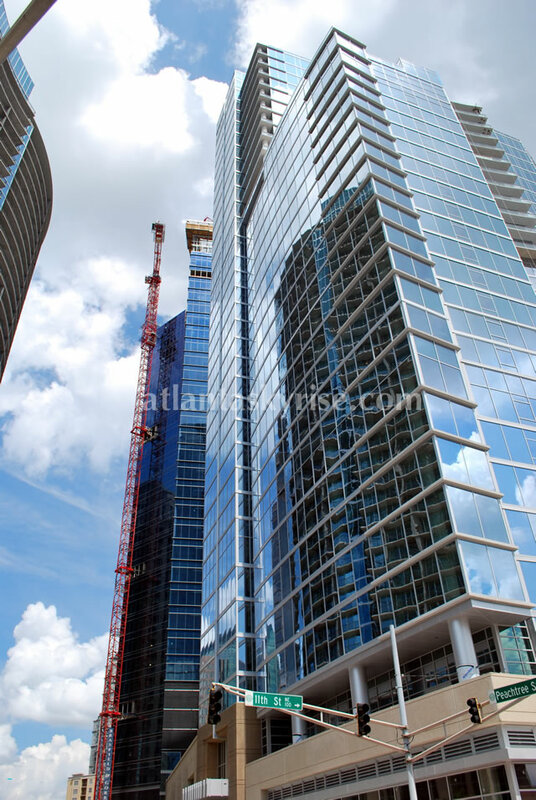 Four distinct curtainwall glass planes define each of the symmetrical sides of the tower. 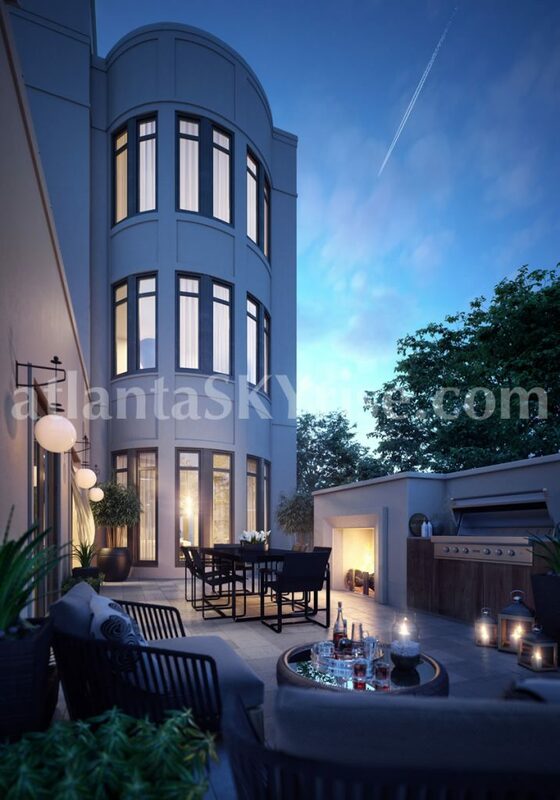 The tower will have an extended second level connection to Peachtree Street and to 15th Street. These connections will increase pedestrian circulation within the block. It will allow for an art walk from the Arts Center MARTA Station to the Midtown MARTA station. Additionally, it will create a unique mid-block connectivity between the existing adjacent towers and initial & future phases of the 98 Fourteenth Street development.